* Result may vary depending on each patient anatomy. Case # 12729............................Age 59.….....................Weight 163….........................Height 5’11".............................. 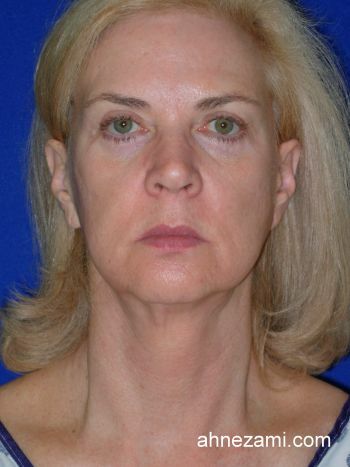 This Atlantic Beach, Florida resident came to Jacksonville Cosmetic Surgery Center for facial rejuvenation surgery and revision of her previous facelift scaring done by another surgeon. Her extensive research on internet led her to Dr. Nezami. 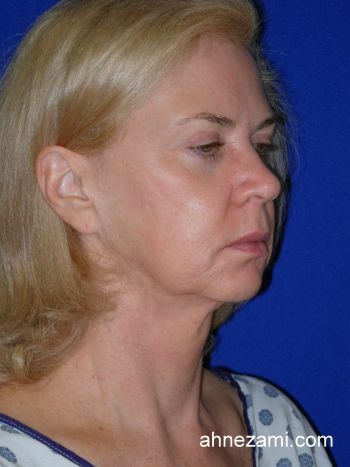 She was impressed by the natural looking result of all the post facelift photos on Dr. Nezami’s website. She was very pleased with the excellent result of her own facelift. 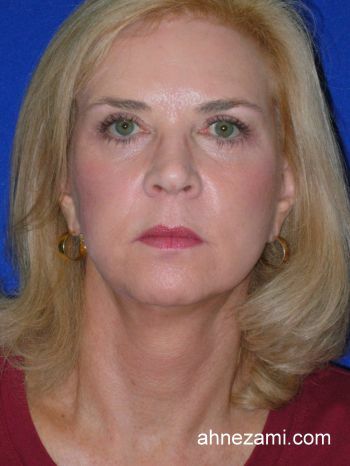 She referred her best friend to Dr. Nezami’s plastic surgery clinic. 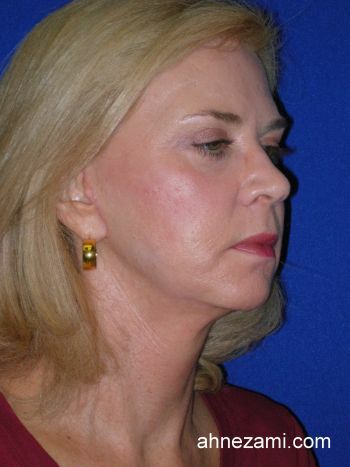 She is using Jacksonville Cosmetic Surgery Center for her Botox treatment for the past 6 years. .